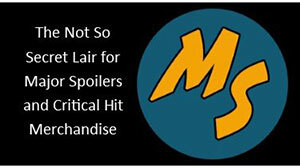 This week on the Major Spoilers Podcast, the Super Future Friends return to the show to talk about DC’s relaunch of Legion of Super-Heroes and Legion Lost #1. As always, the Major Spoilers Podcast is nothing without comments from great readers and listeners like you. 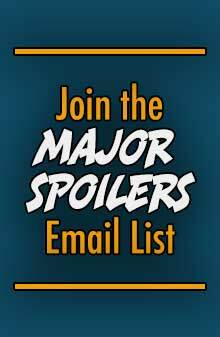 You can use the comment section below, drop us a voice mail by calling (785) 727-1939, or record your comments and send it as an MP3 file in an email to podcast@majorspoilers.com. Here’s your chance to be heard on the show! 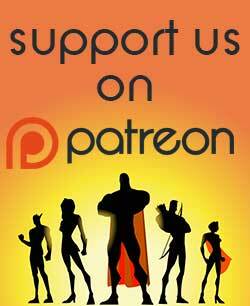 Give us your thoughts on this book, or if you want to share your thoughts on the state of the comic book industry, or anything else that might be on your mind drop us a line. Only the most awesome comments (positive and negative) make it on the show, so get your stuff to us right away! Long time listener, first time commenter. I was wondering what you thought of the Legion Lost roster choices. I was on the fence, but after reading I think it makes for some great character dynamics. Happy Podcasting. Both titles utterly fail as jumping on points for new readers. Approaching LSH as a new reader I don’t think I could have determined whether they were a super-team, a military unit or a government organization, or some combination of, based on their actions in this issue. 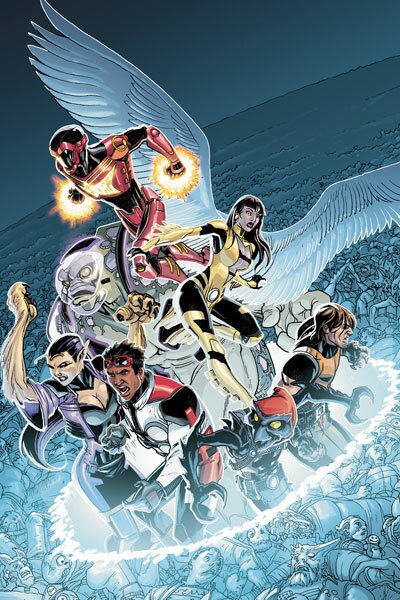 In LL there was at least enough info to tell us that the characters were part of a Legion of Super-Heroes that operates in the 31st Centtury, but not enough about who they are or what Alastor’s problem is, or why we should care. There was even a reference to Flashpoint, a different continuity from either relaunch or pre-relaunch. I’m saying there’s nothing here for fans, but I don’t see DC’s stated goal of gaining new ones going anywhere. They had a chance to start a new Silver Age as entirely fresh as with GREEN ARROW and DEMON KNIGHTS, or even the Tangent universe. Instead most of the “jumping on points” are like walking in late to the middle of a movie. I disagree about Legion Lost as I think it’s as good a jumping on point for new readers as anything else I’ve perused from the NuDCU. LSH on the other hand, while I loved that it seemed to be going on as if untouched by the NuDCU (though I expect that will change over the next few issues; especially losing the Legion Lost characters) really wasn’t any more of a jumping on point for new readers than any other issue (though I think readers today are coddled as back when I was a young’un we had to look into who these people were, etc., etc., and we didn’t have any freakin’ internet to do it! ), except that we’re at the start of a new story arc. But, as I’ve said elsewhere, I give both Legion titles a solid thumbs up. it’s as good a jumping on point for new readers as anything else I’ve perused from the NuDCU. …That’s the problem. Most of the DCnU HASN’T been a good jumping on point. One problem with it has been common to all of DC’s rebootlaunches: thet’re half-@$$ed. Clean reboot for GREEN ARROW, but unwilling to jettison the overblown GREEN LANTERN contunuity, even though GL’s continuity involved the version of GA that now never existed. I was pretty excited about these two books when they were announced, but after reading them? Not so much anymore. Legion Lost #1 was disorganized, at times incoherent, and overall, a mess. Are they “new” characters (new as in DCnU “new”) or do they remember their “old” history? They do, after all, reference Flashpoint, which would lead me to believe that this is even less of a reboot than the GL books. The art was spotty and confusing at points, as was the plot. I happen to typically like Nicieza, but the story seemed to be trying too hard to be cryptic (who is Alastor and what is the deal with this pathogen?) and ended up being far from clear. LSH #1 was a bit better, but I think that is based solely on the fact that I had been reading the most recent series and nothing much changed. I understand that LSH has had a messy history with multiple upon multiple reboots, but I was really hoping that these two books would streamline things. For a new reader, you still have to reference Wiki and/or those great Hero Histories to get a grasp on who these people are. And even after that, you’ve only got part of the picture. 1.5 of 5 for LL and 2.5 of 5 for LSH. 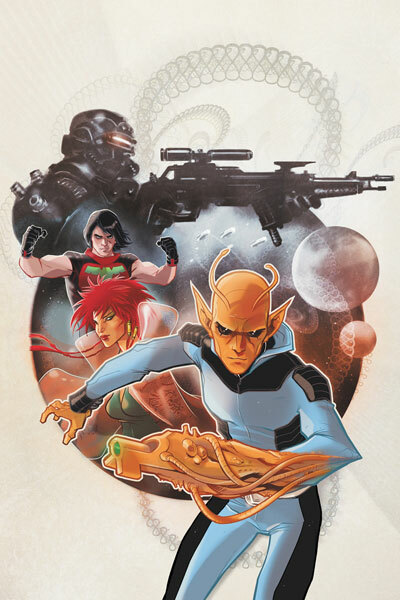 I haven’t read LoSH yet, but after hearing that it looks like we’ll be stuck with Levitz’s new pet character, the Mary Suetastic Harmonia Li, I am less than optimistic. I started out okay with his run & genuinely liking his Adventure stories about the Academy, but once it became “let’s fight the nebulous personification of evil and get rid of all the stuff Geoff Johns introduced and oh by the way, this woman who doesn’t care she blew up a planet is now a member”, I really soured on it. I’ve already written this off as a lost cause, since it’s just been such a disappointment prior to the relaunch & doesn’t look like Levitz wants to change or that DC wants to bring in someone who wants to make it more enjoyable & accessible. I am so torn on Legion Lost. On one hand, there was some of the pacing that I liked, especially the rapid-fire way that the tech failed, and the overall concept (stuck in the past because of tech failures & quarantines) has potential. However, the complaints are more serious: none of the characters have individual voices, the deaths at the end (including one of a villain who barely got any play when he really needed more) were hasty & confusing, and the rapid-fire pacing didn’t slow down enough after the initial intro to let readers feel the story. I’d like to see this one work, if only because this looks to avoid the trap of Legionnaires winding up 1000 years in the past & fitting right in that so many others have done, but it really needs to gel more. Have no good commentary on Legion. Just happy to welcome the Super Future Friends back to the podcast! Makes me wonder how I ever managed to figure out who all these characters were when I started reading the LSH after picking up a copy in a convenience store back around 1978…..